A key location seen in the final episode of Game of Thrones Season 7 was a major setting for the story, and filming at the location is set to take place as crews are setting up and hiding the site from prying eyes (and cameras). So which location is it? 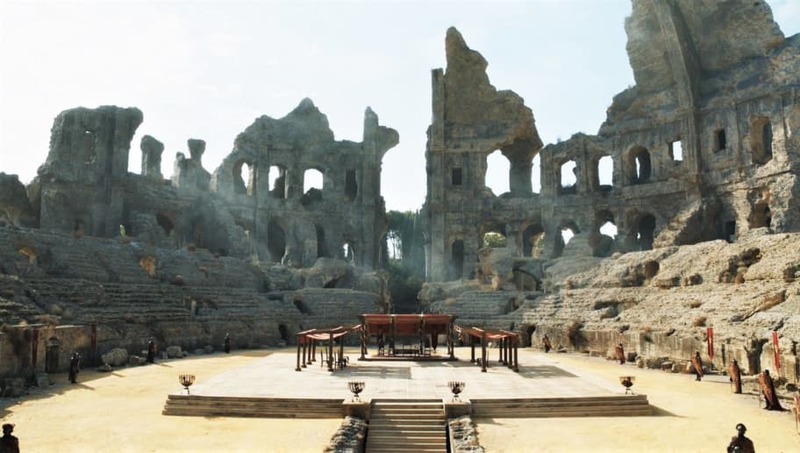 The Dragonpit will return in Season 8! The last time fans saw the Dragonpit, the major players from all over Westeros had gathered there to discuss a possible alliance to defeat the true threat to all of Westeros, though if you ask me, in a non-ice zombie magic sort-of-way, Cersei is just as big a threat as the Night King who literally does not care for anyone else but herself and her unborn child and those she can control, and even tried to threaten her own brother/lover into submitting to her plan of abandonment. Thank the Seven that Jamie finally had some sense knocked into him, and he's on his way to join the alliance against the dead. With Game of Thrones Season 8 already having completed filming for what is rumored to be an ​epic season battle (filming took longer than 'Battle of the Bastards' and 'The Loot Train Battle'), this final season looks like it will see something major happening on the grounds where the dragons first started to die.